100% HTTPS in the internet? Non-Profit makes it possible! HTTPS on 100% of websites in the internet? This just has gotten a lot easier! Let’s Encrypt is a free, automated, and open certificate authority (CA), run for the public’s benefit. Let’s Encrypt is a service provided by the Internet Security Research Group (ISRG), a Section 501(c)(3) Non-Profit entity dedicated to reduce financial, technological, and education barriers to secure communication over the Internet. Let’s Encrypt offers free-of-cost certificates that can be used for HTTPS websites, even when these websites are ran for commercial purposes. Unlike traditional CA’s they don’t require cumbersome registration, paperwork, set-up and payment. The certificates are fetched in an automated way through an API (the ACME Protocol — Automatic Certificate Management Environment), which includes steps to prove that you have control over a domain. 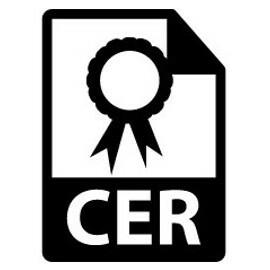 Dedicated to transparency, generated certificates are registered and submitted to Certificate Transparency logs. Here is the generous legal Subscriber Agreement. Automated API? This sounds too complicated! It is actually not. There are a number of API libraries and clients available that do the work for you. One of them is Certbot. It is a regular command-line program written in Python and the source code is available on Github. With the -w flag you tell the script where to put temporary static files (a sub-folder .well-known will be created) that, during the API control flow, serve as proof to the CA’s server that you have control over the domain. This is identical to Google’s method of verifying a domain for Google Analytics or Google Webmaster Tools by hosting a static text file. Then it is only a matter of pointing your web server (Nginx, Apache, etc.) to these two files, and that’s trivial. … which they suggest should be put into a Cron job, run twice daily. It will renew the certificates just in time. No longer do you have to set a reminder in your calendar to renew a certificate, and then copy-paste it manually! A bit of a downside is that Let’s Encrypt unfortunately doesn’t support wildcard domain certificates. For these, you still have to pay money to some other CA’s who support them. But in above shown code example, you would generate only 1 certificate for the domains example.com and its two subdomains www.example.com and blah.example.com. The two subdomains are listed in the Subject Alternative Name field of the certificate, which is as close to wildcard subdomains as it gets. But except for SAAS providers and other specialized businesses, not having wildcard certificates should not be too big of an issue, especially when one can automate the certificate setup. On the upside, they even made sure that their certificates work down to Windows XP! Today, I set up 3 sites with Let’s Encrypt (one of them had several subdomains), and it was a matter of a few minutes. It literally took me longer to configure proper redirects in Nginx (no fault of Nginx, I just keep forgetting how it’s done properly) than to fetch all the certificates. And it even gave me time to write this blog post! Honestly, I never agreed with the fact that for commercial certificate authorities, one has to pay 1000, 100 or even 30 bucks per certificate per year. Where’s the work invested into such a certificate that is worth so much? The generation of a certificate is automated, and is done in a fraction of a second on the CPU. Anyway, that now seems to be a thing of the past. A big Thumbs-up and Thanks go to the Let’s Encrypt CA, the ISRG, and to Non-Profit enterprises in general! I believe that Non-Profits are the Magic Way of the Future! Author Michael FranzlPosted on 2016-07-31 2018-09-02 Categories Computer Science, GNU/Linux, Networking, Security, Server Administration, Software, TutorialsTags apache, certificate, encryption, https, nginx, ssl, websites2 Comments on 1002 HTTPS in the internet? Non-Profit makes it possible!